Welcome at the Alterum Medica website! Conventional medicine for the determination of various blood parameters uses mainly the in vitro methods (wet analysis). The in vitro method, although regarded as the “gold standard“, is apparently currently facing big problems with standardisation. These problems regarding the standardisation of “in vitro“ analytical methods were presented again this year by the participants of the international symposium in Barcelona (VIII. Simpósium Europeu). Participants from various countries were very open in their statements claiming that it is rather difficult, or even impossible, to achieve the standardization even in a single larger hospital. Why? It should be stated that the correctness and verity of a result measured by the in vitro method are affected by a vast number of known as well as unknown factors. Complete elimination thereof is practically impossible. The effects of these factors are demonstrated by significant variability of analysis results in inter- and intra- comparing studies. 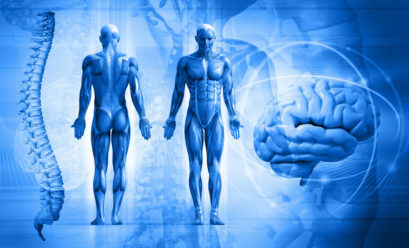 However, a considerable amount of such known and unknown factors can nowadays be eliminated by new measurement methods, currently being introduced in the medicine. At present, optical or electroimpedance method of measuring the parameters of blood and systems are widely being applied. In terms of analytical chemistry, in vivo measurements eliminate certain set of potential errors which usually occur with the in vitro method and which have the overall impact on the result correctness. Result correctness with the in vitro method of measuring an arbitrary blood parameter is often affected by the correctness and accuracy of sample collection, the interval between the collection and the measurement, sample transportation and storage, correctness and accuracy of a given parameter in an extensive mixture of unknown substances which can affect the parameter measuring process, quality of reagents, calibration, quality of staff, etc. All these “drawbacks” of the in vitro method are practically absent in the in vivo method of parameter measurement. Clinical trials confirmed that the non-invasive blood analysis, using the AMP(ANESA) analyzer, statistically showed almost 100% reproducibility of the parameter measurement as such and high conformity to the parameters measured by the in vitro method. Nevertheless, the method of measurement as such is very simple. 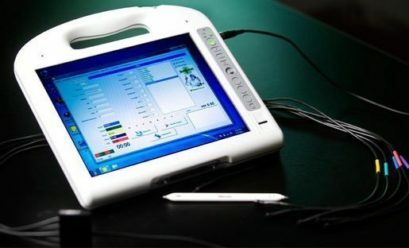 Particularly the in vivo method of measuring the blood parameters, using the AMP(ANESA) non-invasive analyzer, predetermines this device to be used primarily by first-contact physicians as well as for common analyses aimed at monitoring the pathology development or the quality of therapies in clinics and hospitals. To conclude, it is necessary to know the following: the perfect knowledge of human physiology. The method’s principle: The principle underlying the AMP/ANESA non-invasive analyzer of blood count and metabolites is based on the processing of measured temperatures scanned in biologically active “reference“ points located on the surface of a human body and of a patient’s parameters entered into the computer system. The result represents the molecules of chemical reaction products, action, and heat. Products of chemical reactions in an organism can be determined either by the in vitro method (in a test tube) or the in vivo method (in an organism) in blood, urine, liquor, saliva, or in the exhaled air. The only difference is that the measurements in vitro are carried out in the laboratory measurement conditions and the in vivo measurements are carried out in the physiological conditions of an organism. Variability of conditions for parameter measurement determines also a possibility to compare individual measured parameters. Clinical trials confirmed that the vast majority of parameters measured by both methods are comparable. – mutual interconnection between the enzyme systems and the immune system. …I guess everybody who has passed a basic school understands the AMP analyser is nonsense. A miracle? Of course not, rather a good old trick. The point is that a trained nurse takes a complete history before the examination, asks about symptoms, previous and existing diseases, and enters all the data in a computer, maybe including exact data on a patient’s health, if such patient is willing to provide their medical records in the ISIP system. And a magical box is then easily and smartly able, with the help of appropriate professional software, to carry out the preliminary diagnostics and print out the list of expected chemical changes. 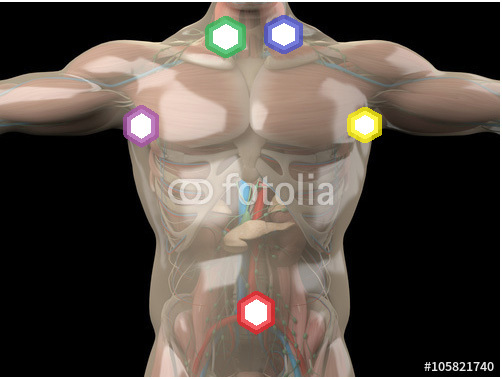 …I think I have not mentioned yet that none of the promotion materials in the Internet provide the information on what these “bioactive points” are and how they were identified …. …I quit because by gathering more and more arguments it is useless to strengthen what is the “absolute” certainty, particularly that the AMP analyser is nonsense, the authors are charlatans, and medical promoters are, as a better case, naïve people who trust anybody. Well, what are these “bioactive points“ (Ing. Jusko prefers the term “reference points”) and where are they located?